1. 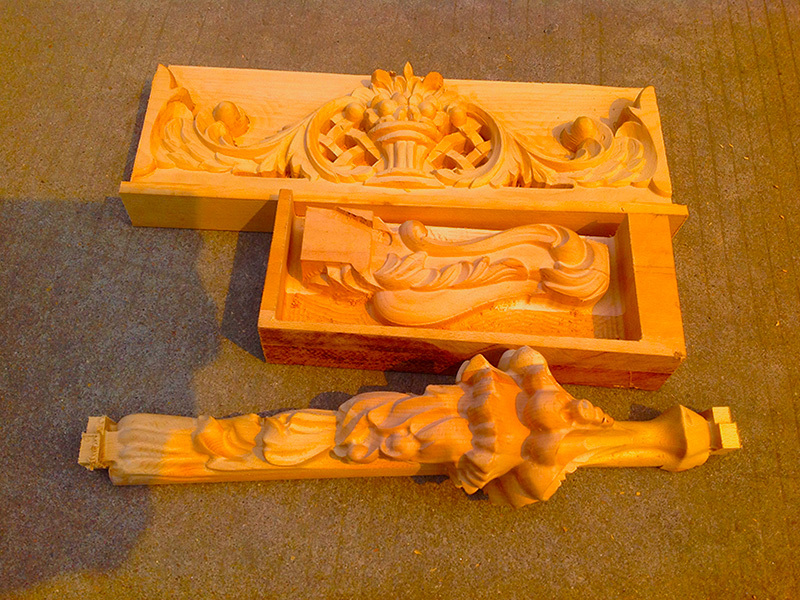 Furniture decoration industry: large area plate plane carving, wood carving and board type furniture carving. Solid wood art mural, solid wood door, cabinet door sculpture. 2. Wood products processing: sewing machine desktop, electrical counter desktop, sports supplies equipment. 3. Instrument industry: 3d curved surface, shape cutting. 1. Steel Gantry, Cast Iron uprights. High rigidity. 2. Y adopt durable driving by synchronizing wheel consist of belt and gear shaft . Big power sub- division motors keep stable moving, improve your working efficacy. 3. Power outages, breakpoint, continued carving. More intelligent. It will start the work automatically at the point from which the power cut off. 4. Using quality sensor switch, improve the Machine working safty. 5. Multi spindle work at the same time, greatly improve the work efficiency. License: The text of "STYLECNC® CNC Router for 3D Woodworking Samples" by STYLECNC is licensed under a Creative Commons Attribution 4.0 International License.